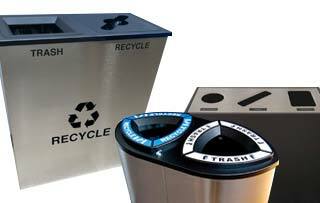 Our Wave Recycling Bins are ideal for food courts, cafeterias, restaurants, and fast-food chains. The Wave features a secure area on its top for nesting food trays, a side-hinged top for easy collection, and a heavy duty liner for easy removal and cleaning. 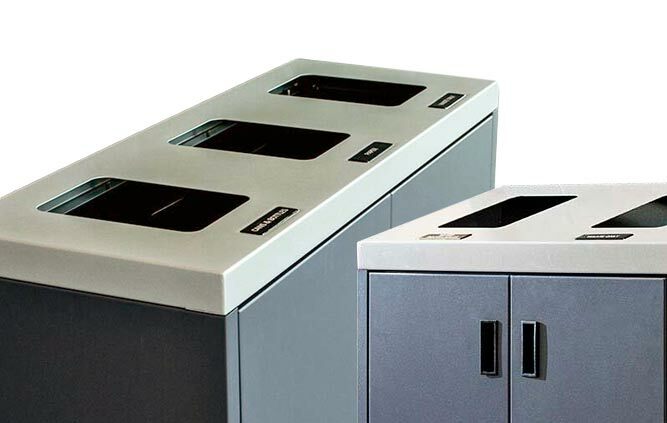 With a vast array of opening shapes, colors, and labels are available, the Wave Series can fit any business’ waste strategy.